There's a new shop on Northfield High Street. Parents beware it's called Candy World and is brightly decorated in shades of pink, purple, and has a Willy-Wonka like typography, which little ones will undoubtedly recognise as a symbol for sweeties. Sweets line the floor-to-ceiling shelves, so you can imagine it's a dream for children and sweet lovers. 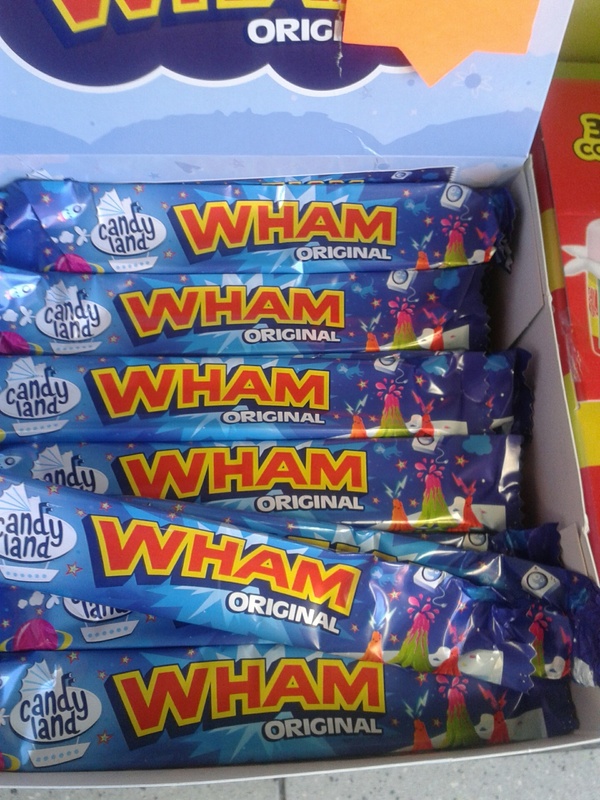 What caught my eye the most were the sweets from the nineties: WHAM bars, drumsticks, burgers, and twizzlers. I was transported back to my childhood, and I resisted an outburst of 'yippee'. Familiar American sweets like Tootsie Rolls, Hershey's bars, and Oreo's are on the shelves too. Cereals like Lucky Charms and Froot Loops are amongst the American sweets, which makes me question the nutritional values of the foods which are supposedly marketed at setting you up for the day. 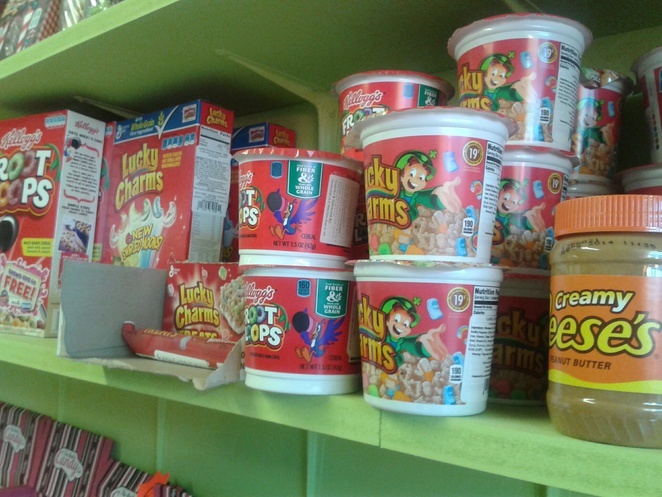 Nonetheless, Candy Store clearly considers the popular cereals more of a treat than a food recommended to start the day. 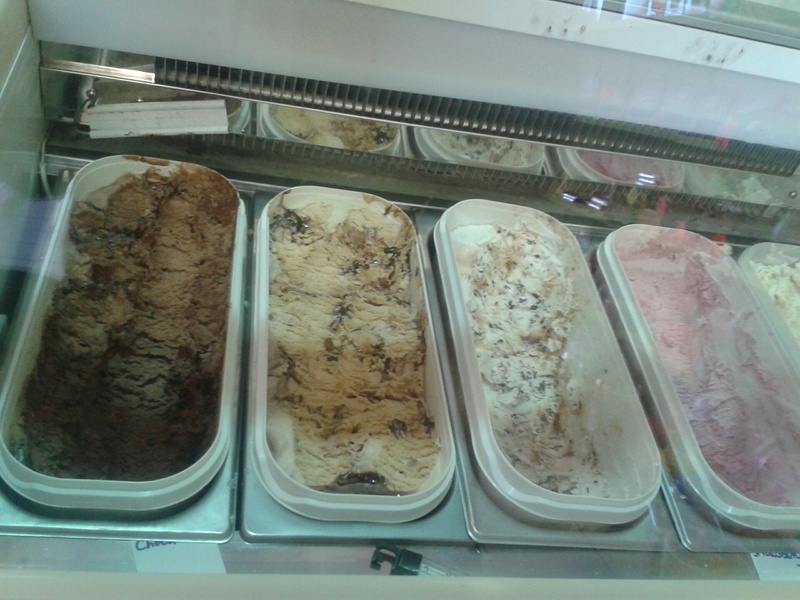 They sell ice cream, shakes, served in both a traditional American manner, as well as more unusual combinations. Apparently the blueberry swirl ice cream is a favourite mix with children and blends particularly well with the blue 'flavoured' millions sweets. It's the cheapest kind of sweet and milkshake shack, this side of the city. Northfield isn't an expensive area, so the owners have offered cheap and reasonable prices, which makes it only that bit easier to indulge in your kids requests. Candy Store, isn't merely a sweet shop, it is a business, which functions as both a shop and a company who provides a service. They cater for work events, family parties, and other celebrations by providing the sugar-loving customer with a whole cart full of sweets for an evening. You hire a cart, and Candy Store will provide an employee to 'work' it. 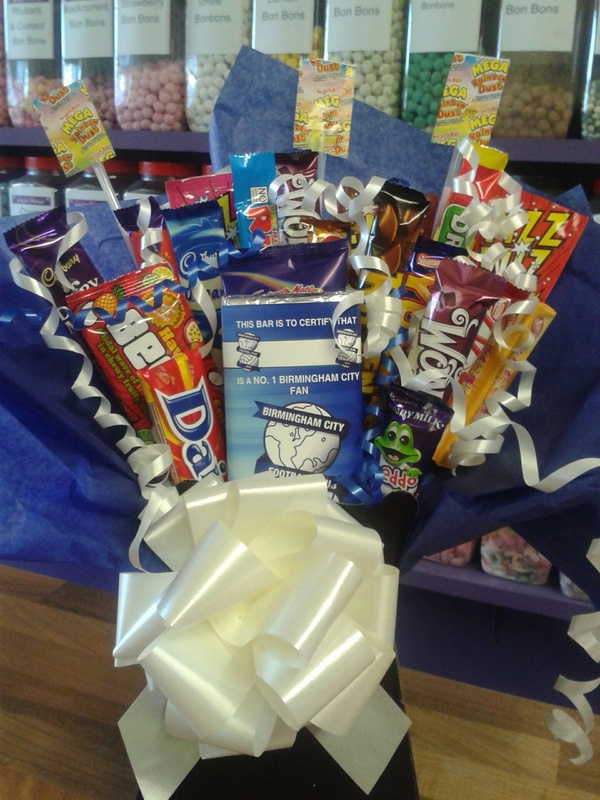 Sweet 'bouquets' are another one of their rather specialisms. Perfect for a work group, or as a cool present. 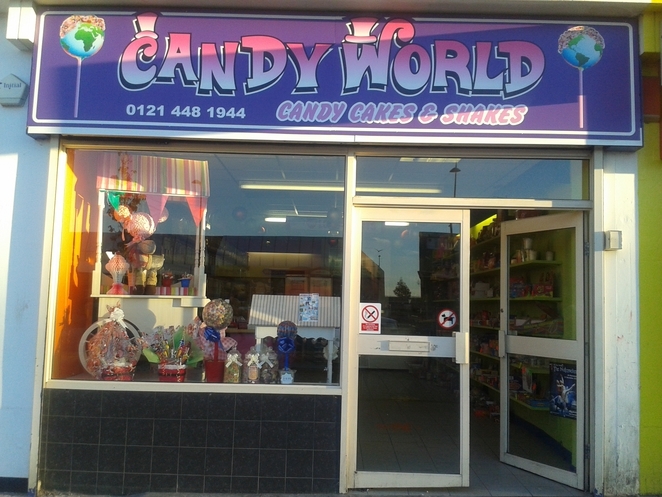 Although the carts and bouquets are more pricier treats, for a quick one-stop-shop, Candy World is the perfect spot to find those elusive sweets, and satisfy your sweet tooth, as well as those around you. 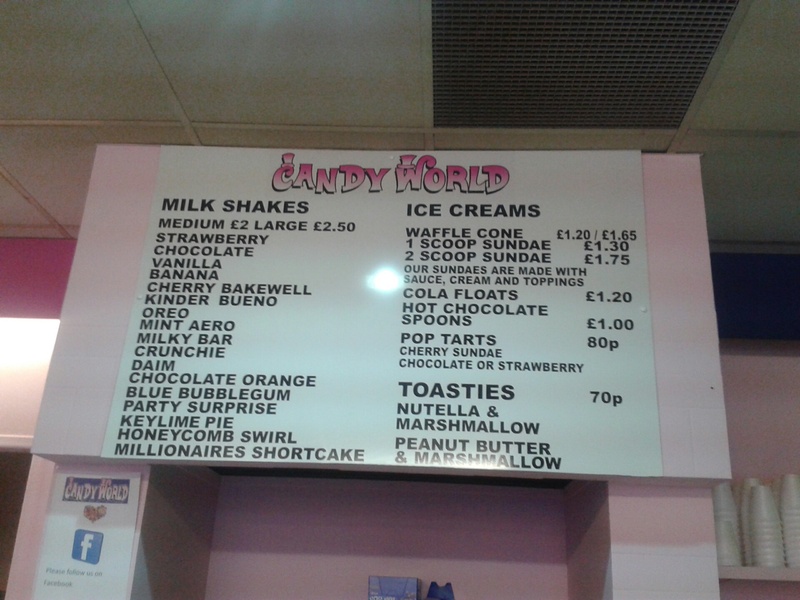 With a name like Candy World, you can only hope the parents passing by have deep pockets.